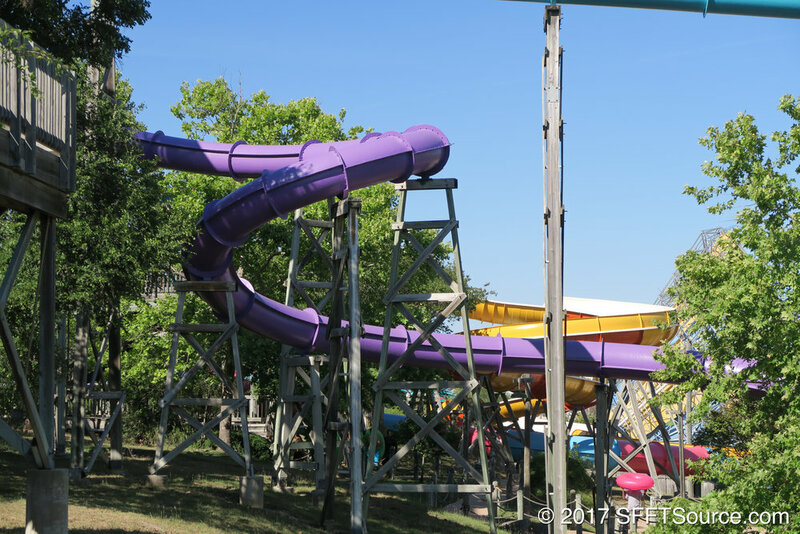 Typhoon Twister is an enclosed body slide located in the park's White Water Bay section. 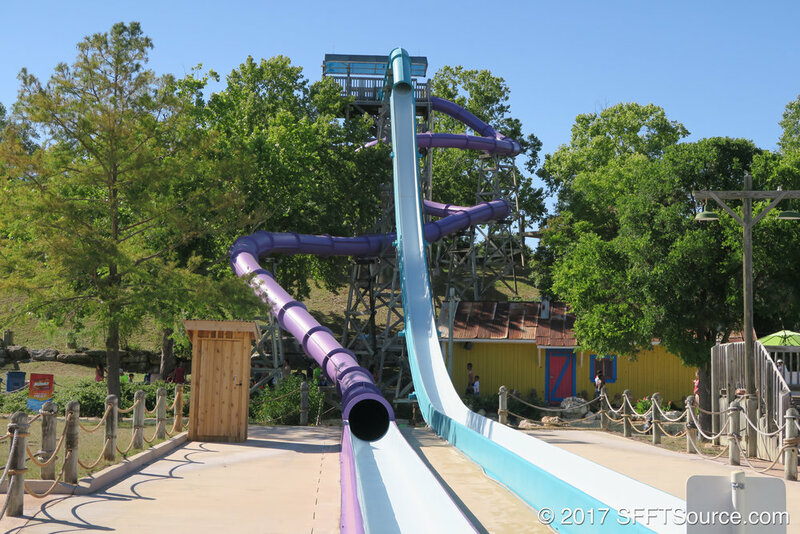 The slide is also one of the original opening-season attractions still in operation. 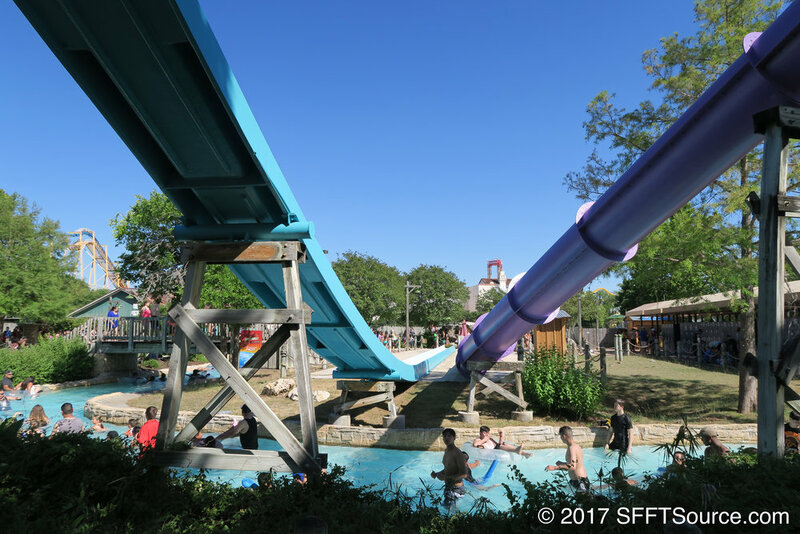 Sharing a tower with Paradise Plunge, riders travel through a dark enclosed tube for a high-thrill water slide experience. Twister is repainted orange after being dark blue. 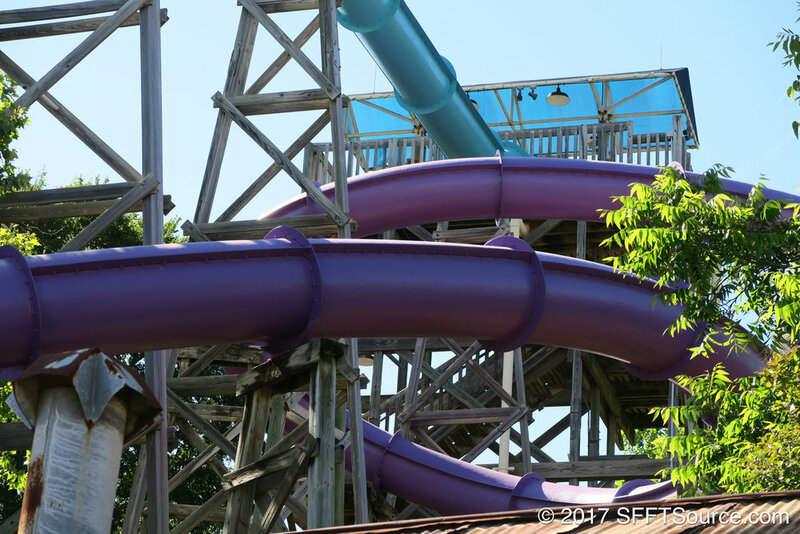 Twister is renamed Typhoon Twister and painted purple.